Calloni’s Corner: Mike Shildt is the New Cardinals Manager. In mid July, the Cardinals made a shocking decision to relieve manager Mike Matheny of his duties, and placed Mike Shildt as interim manager, but now, the interim title is dropped. Mike Shildt, a baseball lifer, has been in the Cardinals organization as a manager, coach, or scout, for the last 13 years. In 2017, Shildt was promoted as the MLB quality control coach, and later named the 3rd base coach. In 2018 however, with the return of Jose Oquendo, Shildt was assigned the role of Mike Matheny’s bench coach. When Matheny was fired, the Cardinals popular saying, “next man up” went into affect, and that was Mike Shildt. Shildt took control of the team on July 15th, with a record of 47-46, and a clubhouse in despair. Jordan Hicks and Bud Norris had words with each other, and Dexter Fowler and Matheny hadn’t spoke all season. The team was broken. Shildt had the job of turning that into a winning team, and he did. In fact, he did it very well. Since the Matheny firing, the Cardinals are a stellar 27-12. The team has made an incredible climb in the NL Central standings, and currently holds the first wild card for a playoff berth. However, just over a month after taking the reins on the Cardinals, the front office made a huge decision. They removed the tag, “interim”, from Shildt, and named him permanent manager, deservingly so. However, that created much backlash. Cardinal fans and players alike think that this was the best move that could be made, and many could not be happier. With that, however, comes national opinions. Sports writers, most notably Ken Rosenthal took to Twitter, saying that he strongly disagreed with the decision. Rosenthal made the argument that 39 games, just weren’t enough to decide that Shildt was right for the job, because in that short amount of time, the team did not face enough adversity. However, in that, Rosenthal couldn’t of been more wrong. The team pulled from a game above .500 to 16 above, and did it without the likes of Marcell Ozuna, Adam Wainwright, and Michael Wacha, just to name a few. The team also went through other wholesale changes, such as a new hitting coach to adapt to, the new manager, and, two weeks after the firing, a whole new bullpen. Players like Tyler Lyons, Greg Holland and Sam Tuivailala, were taken out and Chasen Shreve, Dakota Hudson and Tyson Ross were brought in. On top of all that, the team had so many injury issues, as noted, and had to rely on rookies to carry the team to its success. Much to Shildt’s credit, adversity was all that the Cardinals faced since he took over, and not only did the overcome it, they have become the hottest team in the NL since. So, even though it was a quick decision and made after only 39 games, this one was right for the Cardinals. Shildt knows his whole roster from his time in the minors, and his time being a bench coach in the majors. He knows how to manage a team and keep control of the clubhouse, something Matheny did not. 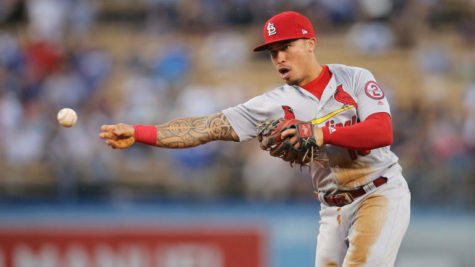 This was right for the Cardinals, no matter what the national analyst say, and it will show in the next two and a half years that Mike Shildt has control of the Cardinals.